Most Linux distributions come with a version of perl, which is often referred as system perl. For certain tasks and in certain cases that's exactly what you need, but there are cases when it's better to build your own copy of Perl. For example, you might want to use a different version of perl than the one supplied by your vendor. Or you need a threaded (or a non-threaded) version. Something different from what the vendor of the operating system supplies. There are even some Linux distributions that by default don't come with perl. 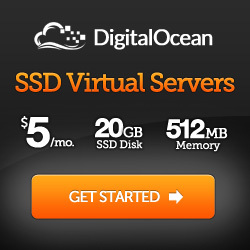 For example the CentOS 5.10 system provided by Digital Ocean does not come with Perl preinstalled. You could install it using yum install perl, but instead of that's let's see how can we compile perl from source. As we would not want to assume an existing installation of Perl, we cannot use Perlbrew. 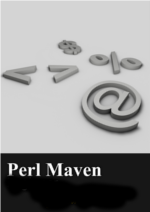 Perl, the compiler/interpreter and the various extras that we usually think about when we say "The Perl programming language", is maintained by a group of people called Perl 5 Porters. They regularly release new versions that we can download from this page on CPAN. At the time of writing this article, the latest production release was 5.20.1. That page actually has the instructions how to build perl from source code, but we need a few more things before that will work. Specifically, we need to install make and gcc. These are the only commands you need to run as root. The rest can be executed either as root or as any regular user. and then you can type perl -v.
For other configuration options check out the INSTALL file that comes with the source code of perl. CPAN minus is a client that can easily install third-party modules found on CPAN. Up till this point it is not really a lot of work, but it can take some time depending on the CPU in your Linux box. Installing the necessary modules can take quite a lot of time, and some of them will need extra, stuff to be installed as root. If you don't really want to build your own perl and spend hours installing tons of modules, you can just download install DWIM Perl for Linux which is a "batteries included" binary distribution of perl.